Veterinarians in Saskatchewan will soon be required to report suspected cases of animal neglect or abuse. Photo by Caitlin Taylor. This is already the law in Manitoba, Nova Scotia, Ontario, British Columbia, Newfoundland and Labrador, and Québec. On November 27, provincial agriculture minister Lyle Stewart announced that Saskatchewan will do likewise. So far, the amendments to the Saskatchewan Animal Protection Act have gone through first reading in the province’s Legislative Assembly. In this province, suspected cases of animal neglect or abuse are reported to several enforcement agencies. Local SPCAs or humane societies are available in the cities of Saskatoon, Regina, Prince Albert and Moose Jaw, while the Animal Protection Services of Saskatchewan serves as the contact for the rest of the province. Its executive director, Kaley Pugh, is optimistic about the change. “I think [mandatory reporting is] going to get us a lot of information sooner, and I think it’s going to empower the veterinarians to have a lot more involvement in the investigative process,” Pugh says. She also says the change will probably generate an increase in complaints because it provides veterinarians with support to act. “Right now I think there are veterinarians in the province that see things they would consider cruelty or abuse or neglect, but they’re reluctant to make a complaint to an investigative agency for a lot of different reasons,” Pugh says. They may worry about a negative impact on their business, about violating doctor-patient confidentiality, or be confused about the investigative process and their role in it, she explains. 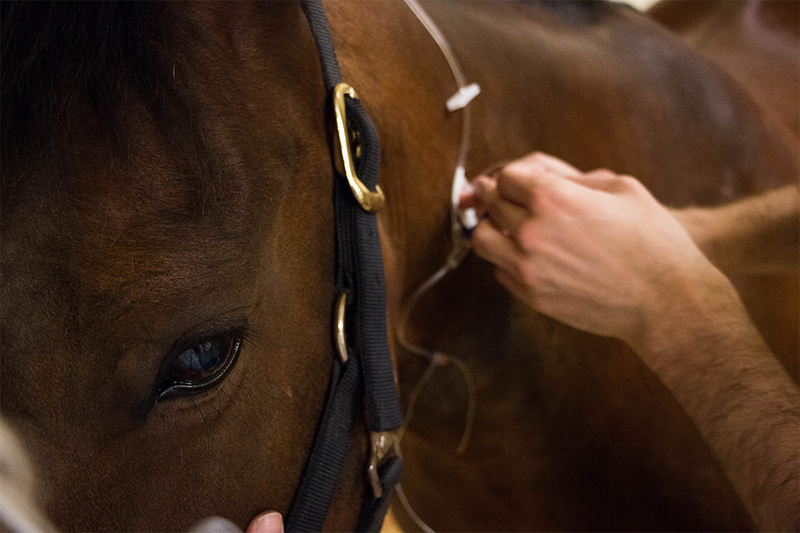 Once mandatory reporting is enacted and communicated, it will “[take] the grey out of some of the situations that we would be presented with,” says Dr. Stephen Manning, the WCVM’s associate dean of clinical programs. He’s also responsible for the college’s Veterinary Medical Centre (VMC). One example of a grey area is when an elderly client who is well known to a clinician begins to neglect a long-time pet due to the client’s own decline. It’s a judgment call that veterinarians may struggle over, Manning says. “If we know that it’s our legal obligation — not just our ethical responsibility — to report it, I like to think it might make those decisions a little easier, or a little more clear,” says Manning. As well, mandatory reporting may “[help] us get some clients to work with us,” he adds. For example, a veterinarian can point out the legal duty to report in the course of trying to persuade an owner to improve care for his or her animal. Manning also sees an opportunity to come up with a clearer process for decision-making within the medical centre. “You still have to make a judgment. You still have to be careful to try to evaluate a situation unless it’s a dire emergency that’s cut and dried,” he explains. Previous cases have prompted the VMC to look at a more standardized reporting structure so that inexperienced clinical interns, particularly those working after regular hours, won’t have to make those decisions by themselves. This initiative arose independently from the government’s move to change the law, says Manning. Veterinarians also encounter situations where a client can’t afford every diagnostic or treatment procedure recommended, says Manning. He says it takes judgment to be able to tell when it’s necessary to call the province’s Animal Protection Services versus following up with the owner in a couple of days, discussing the situation with colleagues, and accepting the client’s decision to choose a reduced level of clinical services. “I think making [reporting] mandatory will make you think about it more … in those situations,” he says. Pugh says plenty of education within the veterinary community is needed to explain the investigation process, what is and is not considered abuse, and when complaints should be filed. In the past year, Pugh has presented sessions on these topics during five seminars that were held across the province and organized by the Saskatchewan Veterinary Medical Association. While these sessions weren’t mandatory, Pugh says many veterinarians attended the sessions and received continuing education credits for participating. At the WCVM, Manning also foresees a push to make students aware of the change in Saskatchewan’s law. However, since the college serves all of Canada’s western provinces and the northern territories, students must be aware of legislation in multiple jurisdictions. This is a responsibility the college shares with provincial veterinary medical associations as new veterinarians begin practising in communities across Canada, Manning notes. As well, the college’s curriculum already covers the topics of animal welfare and how to recognize neglect and abuse. Students also learn about the protection tools that are available in communities through the WCVM’s veterinary social work program. Even so, veterinarians’ evolving and strengthening role in this area will “simply come into the discussion” as the curriculum continuously evolves, Manning says.